Do You Understand Your STEEM KEYS ??? I created this illustration to help you all understand your Steem keys. Record your Master and Owner keys and keep them in a safe place. I recommend storing them on a thumb drive and crate a paper copy. Store those copies in a safe place like a safe or a safe deposit box. Do not store them on a computer that has access to the internet. When you interact with Steemit, only use your Private Posting Key. See the Green Box. This is the safest way to use Steemit. Only use your Private Active Key when making transferrs, delegation, or accessing Steemconnect. To get a copy of all your keys, you need to log in with the Master Key. This should only be done once. 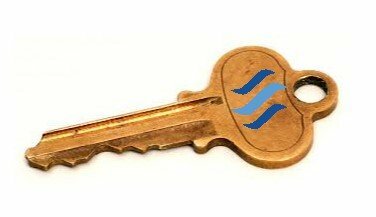 Once you gotten a copy of all your Private Keys and Owner Key, log out of Steemit and log back in with your Private Posting Key. The Master Key should only be used once for collecting all the other keys. Once you are finished with the Master Key, never use it again unless one of your lower level keys has been compromised. In the event that this happens, use the Master Key to change all the keys. When I first created my account, I saved what was referred to as the password (a long cryptographic address). Is this what you are calling the master key? Thanks, in advance, for the clarification @socky! Yes the first long password is the master key. Once logged in, go to your wallet and click “permissions”. In there you can access your private keys. Don’t worry about the public keys, they are public and anyone can see them. Save your master key, your owner key, and your private keys to a paper copy and a thumb drive. I recommend saving your private posting key and your private active key to a daily thumb drive. Use the posting key for daily Steemit usage and the active key for transactions with currency. Thank you @socky! New to the Steem Community and learning as I go. I have now tried your recommendation and it works fine. On SteemIt. Anyway, the most important part of your post, to me, was to only use our master key for very special situations. Make sense and that is what I will do from now on. I had already upvoted your post. I have now upvoted your response. I'm glad you liked it. It seemed like the community needed an illustrated explanation of the keys. It is great that you don't use your master key anymore. you could imagine if that got into the wrong hands it would be very bad. I learned my lesson the hard way never ever use your Master key to login. So if I'm wanting to power up I use the ACTIVE key when prompted to enter a password, correct? When I log in which password should be used, OWNER or POSTING key? If I want to join steemit chat, discord etc, which key should be used? POSTING? When should OWNER key be used? Only when you need to change a key? How do you change a key? This was a great post, but all these different keys!!! I'm older so this is confusing. Like math, once I get this I'll have it down pat, but I've been on steemit for over a year and did not know about these keys!! I'm cringing right now!! Don’t worry. The only keys you need are the master key, the private posting key, and the private active key. Make sure you have the private posting and active keys and not the public keys. Think of your public keys as your mailbox. You don’t use public keys for logging in. If the keys start with STM, then they are public and the wrong keys. Can you direct me to a post that shows where I find the private posting & active keys as all I'm seeing is the public ones that start with STM? That's my problem, I don't know where I find my keys. Sorry if this sounds dumb this is the first I've heard about these other keys. Never mind, I get it now!! So if I hit the "show private key in green" to the right a different code was shown and YES I was able to login with that password! It is in the blog above. See the large red arrows. You must click those buttons that the red arrows point to in order to get to your private keys. Saludos mi gente de buena vibra! Me encanto tu post y por eso te doy un voto. Sigueme y visitame en https://steemit.com/@vivirsindiabetes y si te gustan mis post de salud y buena vida puedes darme un voto. Muchas Gracias y Éxitos. Keys can get confusing especially if you are new here so this is a nice chart you created! Thank you for the compliment. I hope everyone here will bookmark this illustration and use it to help others understand the keys. Another great post @Socky ...The visuals break-down really helped. New to this and i see so much potential for steemit & IPFS . I would appreciate any up votes to my posts. What is the difference between an active key and a posting key, when the active key does the same job as the posting key and more? New to the platform and trying to understand the intricacies. Thanks. Every time you use a key, there is opportunity for the key to get stolen because you are accessing the network using a computer and an internet connection. If your computer gets a virus and hacker knows what to look for, your keys could be compromised if you store them on your computer. The worst thing that can happen if your Posting key is stolen is that the thief could post and vote until you change the key. If a thief steals your active key, they can take any STEEM or SBD that is not stored as SP or in Savings. Do not store your active key on your computer or phone. Use a removable storage device like a USB drive. This post is very important. Thank you very much for sharing this important post. I think everyone will benefit less or more by this post.